The Calendar for October is coming along nicely, thanks to all of you who helped out by Submitting your Community Event to our Calendar. As always, Free Community events can be submitted at no charge! City Recreations departments with minimal charges are also free! I am pumping up the list as we speak on the search for the best Fall Festivals, Halloween and Pumpkin Patches around! If you know of one, let me know! I really think that we have the biggest list ever! The Fall events kick off this weekend with one our favorites! 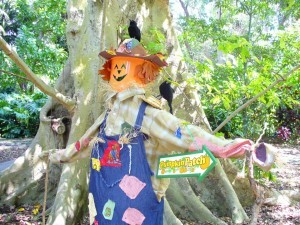 The Scarecrow Contest at Flamingo Gardens! It looks like we will be having a cool front (South Florida Style) meaning that the humidity will drop and the warm weather will feel great! Check out the big Half Price discounts for admission this weekend! How you can help keep this site running. If you have found this site helpful and want to keep me writing please use the Donate Button on the right side of this page. This helps us pay for our domain, ip address and hosting, maybe even a cup of coffee as I sit at Panera searching for more free events. Some sites require membership fees in order to pay for their site. We really want this information to be free and available to all. Thanks for your support! If you would like to learn more about our partnership opportunities Contact Us today! Here is the short list! Click Here for the full list of upcoming events! 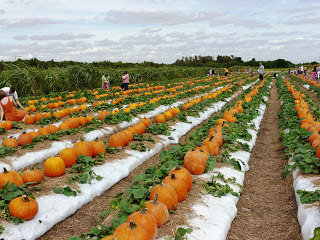 This entry was posted in Weekly Lists and tagged Boca Raton, fall, Family Activities, Fort Lauderdale, Free Movies, Kids Events, outdoor movies, Pompano Beach, South Florida by Cynthia Buckley. Bookmark the permalink.